The beautiful versatility of the Brantley queen sleeper will accommodate just about any taste. Its flared roll arm and contrasting toss pillows can go from traditional to contemporary without missing a beat. 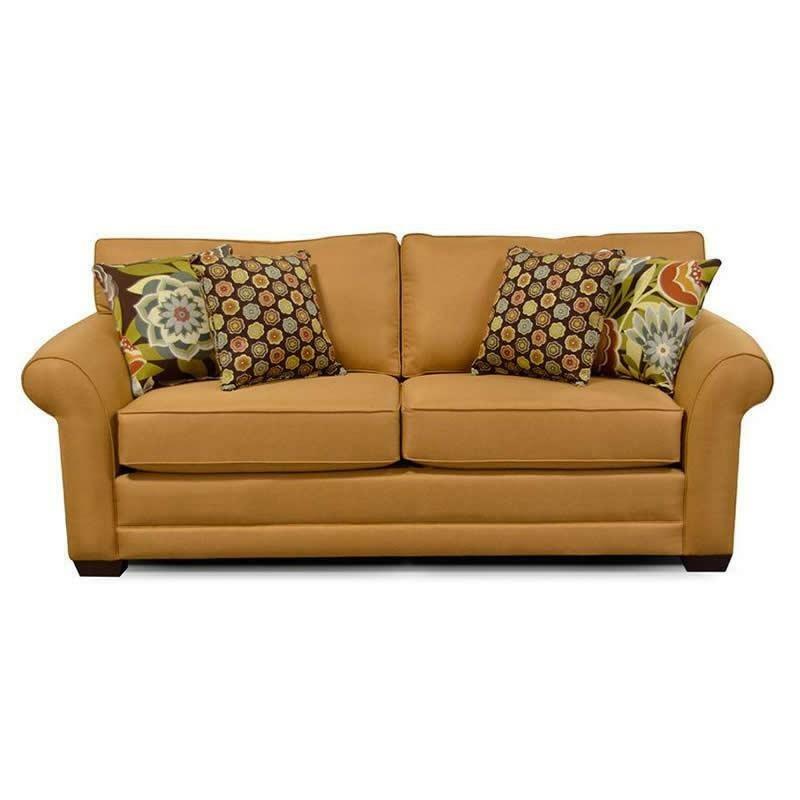 Additional Information Coil cushions are optional at a small upcharge; Four 20'' throw pillows (with fringe option) come standard; Legs are 6''x 6'' x 2.5'' H. pyramid bolt-on with dark brown finished wood; Matching welt is standard; Two cushion sofas; Seat depth: 22"; Seat height: 22"; Seat width: 66"